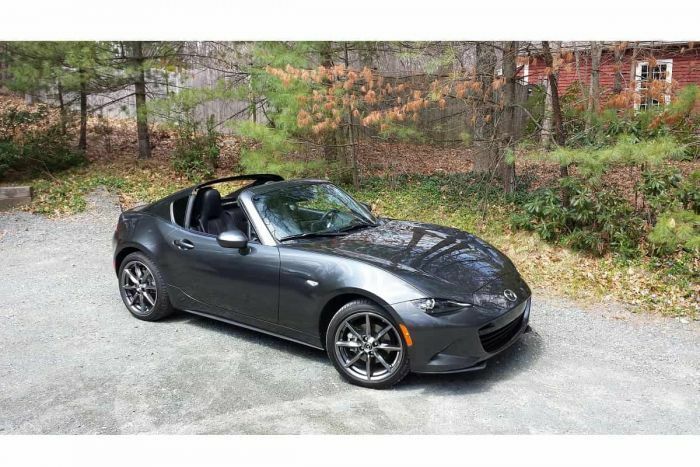 The 2018 Mazda Miata has found itself on U.S. News Reports Auto's list of Best Cars To Buy Now for June. To be eligible for this monthly list, a car must meet three criteria: declining sales, strong manufacturer incentives and excellent scores in the U.S. News Best Cars rankings. If you follow Torque News' reporting on the Mazda Miata and Fiat 124 Spider, then you already know that these two great roadsters meet the first criteria. Slow sales when the snow and rain are daily events is not news for convertibles. However, the slow sales for the Miata and Spider have continued and Mazda wants to offer buyers an incentive to come to the dealership. U.S. News reports that the Mazda Miata is presently being discounted by Mazda two ways before you make your best deal. Miata shoppers can choose between 0.9% financing for 72 months or $1,000 cash back. U.S. News says that these deals are from manufacturers' sites using representative ZIP codes. They add that eals may vary depending on location, the buyer's credit score and other factors and are valid through June 30, 2018, according to manufacturers' sites. The iconic Mazda entered a new generation in 2016. The current Miata earns a 9.1 rating on the U.S. News 10-scale. The Miata is offered as a soft-top convertible and also as a retractable fastback (RF as shown above). Now capable of a 0-60 MPH sprint in under 6 seconds, the Mazda Miata is one of the quickest vehicles at its price point and quicker than the more powerful Fiat 124 Spider Abarth.